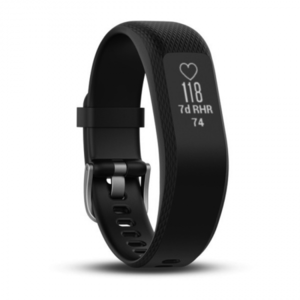 The Lowest price of Garmin Vivosmart 3 in Pakistan is Rs. 20,599, and estimated average price is Rs. 21,419. 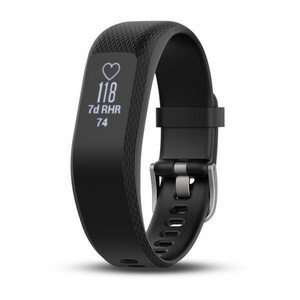 Get the latest price for Garmin Vivosmart, and other products. The prices are collected from the best online stores in Pakistan like Tejar, Symbios, iShopping.pk - updated Apr 2019. 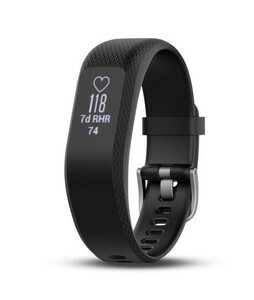 The Garmin Vivosmart 3 is an all-in-one fitness tracker that comes with a water-resistant design, a monochrome display, a pedometer, and a heart rate tracker for monitoring your fitness. With the Garmin Vivosmart 3, you can monitor the number of steps you take, the calories burnt, and the distance travelled which are used to calculate your 'fitness age' as well. 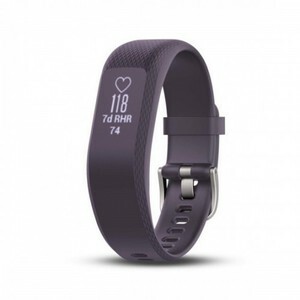 This fitness tracker is available in stylish Black and Purple color options.